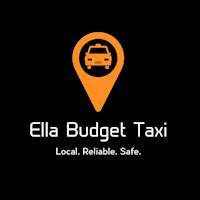 Ella Budget taxi is operating since 2014 as a trusted Cab Service in beautiful Ella area. Get to your destination on time with speedy transportation with us. We take our customers to any location, local or long distance. We charge low rates and drive clean and well-maintained vehicles, all to ensure a pleasant and affordable ride. When you're in need of prompt and dependable taxi service, COUNT ON US!